Gone are the days where kids spent their time outside playing with sticks and stones. They might still play outdoors these days, but instead of sticks and stones they are now outside operating state-of-the-art drones. That is why we wrote this article about the Best Drones for Kids. As technology has advanced, so have kids toys. Their expectations and prerequisites for toys have become more demanding, and the market has definitely met their demands. State-of-the-art drones are now available for children to operate and play with. Some come with cameras, lights or whatever else can be imagined. The drones are remote controlled and are able to reach some impressive heights. 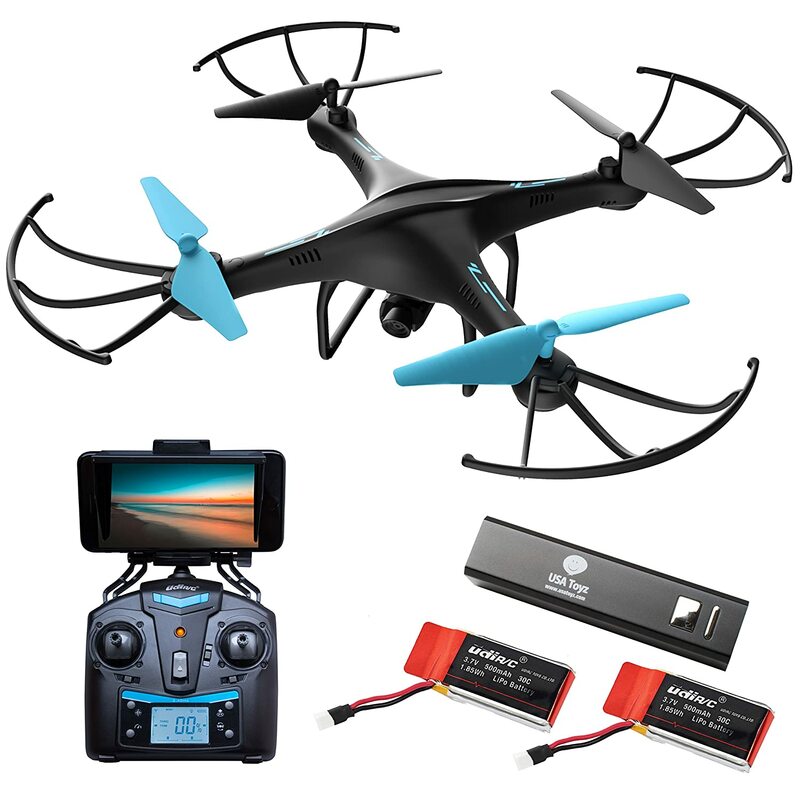 This Quadcopter drone comes with an installed camera that can be connected to your Android or iPhone using Wi-Fi. 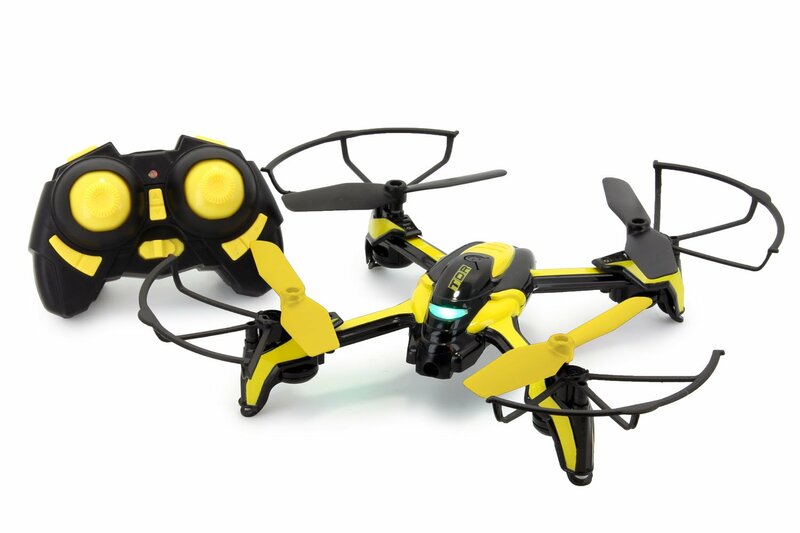 It has a 1 key remote, making it any easily controlled drone for kids. You can recall custom routes with Wi-Fi, and the 2 U45W-A batteries allow for long flight time. The 4 channel transmitter means this drone can ascend, descend, fly forwards, backwards, left, right and even do 360° flips and rolls. The frames protective design reduces the damage done on impact, making it very suitable for kids. As it is small in size, it can be used indoors or outdoors. The lights make it fun and entertaining, both night and day. A 6-Axis Gyro Stabilization system gives the drone more stability and flexibility when flying. The wind resistant control comes into handy, and ranges up to 30-50 meters. The headless security system enables easy flying for all ages. 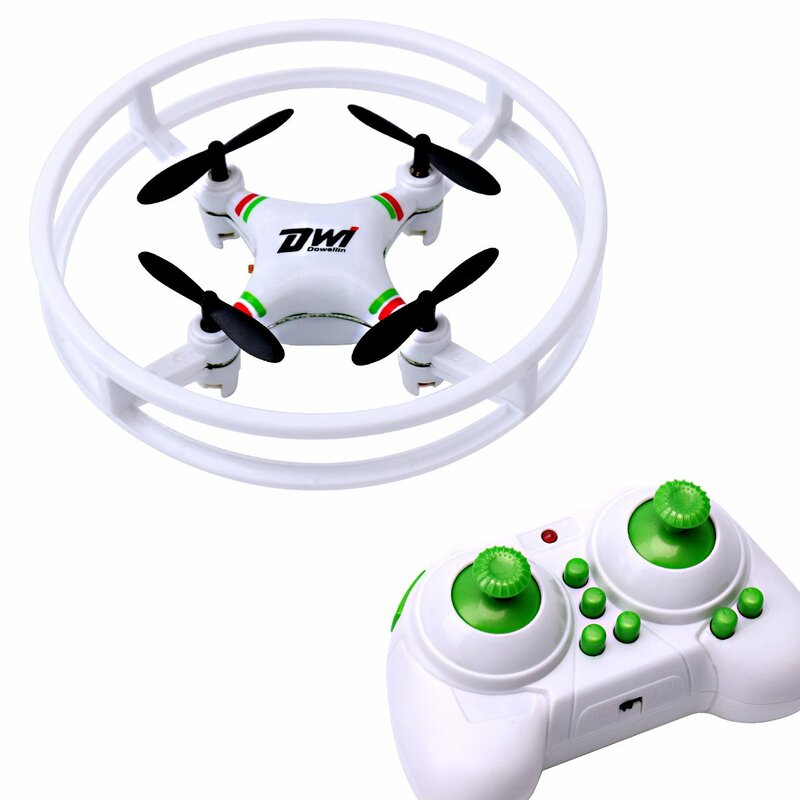 Enjoy the 2.4GHz anti-interference technology, and just have fun flying this durable drone. This is the perfect drone for kids. It is a beginners drone and is easily operated. It has altitude hold, headless mode, key backward, one key take off / landing and lock and unlock functions. One of its best features is at a push of a button – the DROCON drone will hover at a height and start spinning automatically. It can be easily folded to a small portable size, and has an LED search light for flying at night. Kids love color and bright lights – which is why this is our other editors choice. 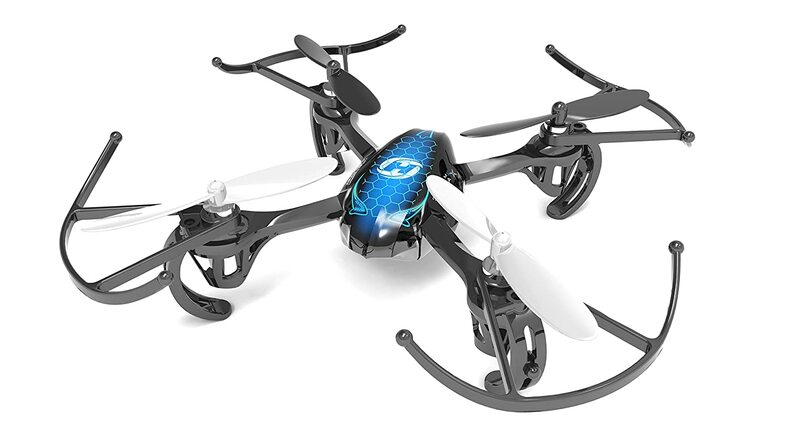 This drone is easy to fly with only 2 speed controls and the LED lights bring excitement to each fly. With the push of a button the drone will do a 360° flip, indoor or outdoors. The 2 batteries allow for a flight time of up to 18 minutes. 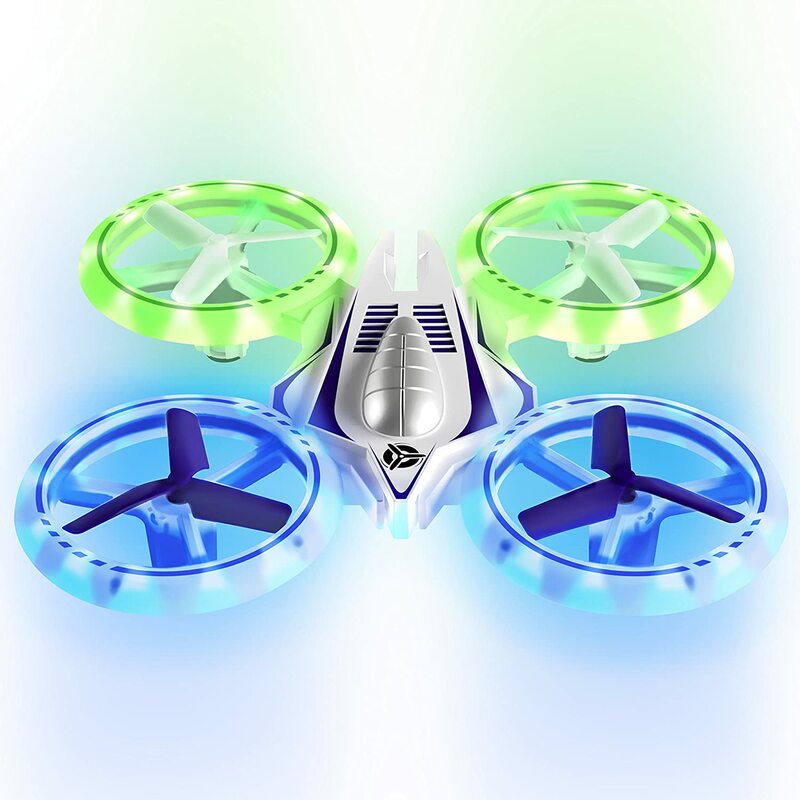 It is a fun, colorful drone perfect for the beginner. 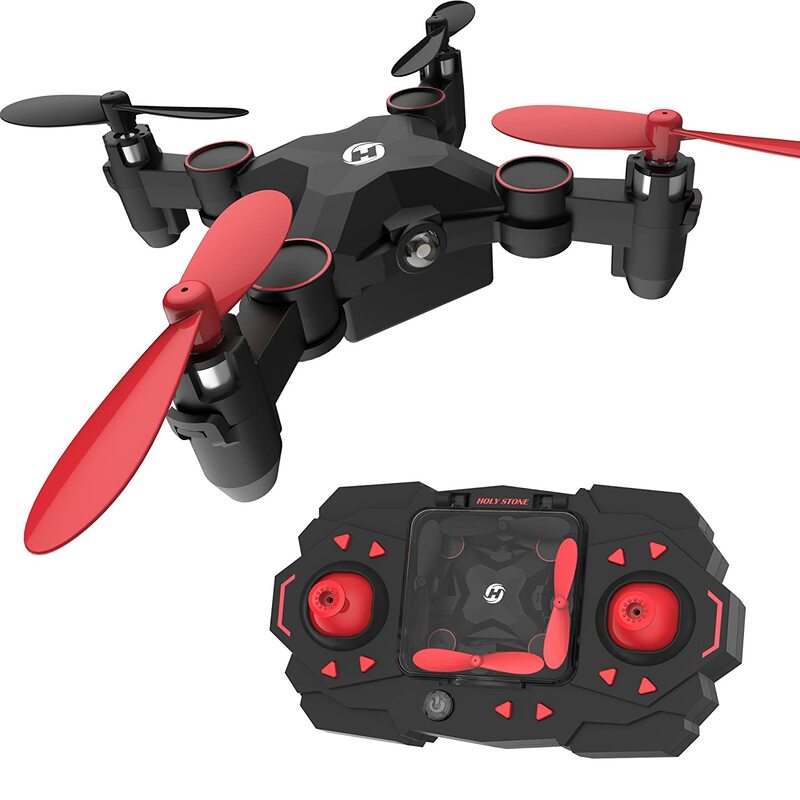 This compact little drone has a 6-Axis gyroscope for strong stability and with this you get a 360 degree flip and a continuous roll action. The controls are easy to use and have a multitude of commands. The drone will also take control in high altitudes, to help when the operator can no longer judge direction. 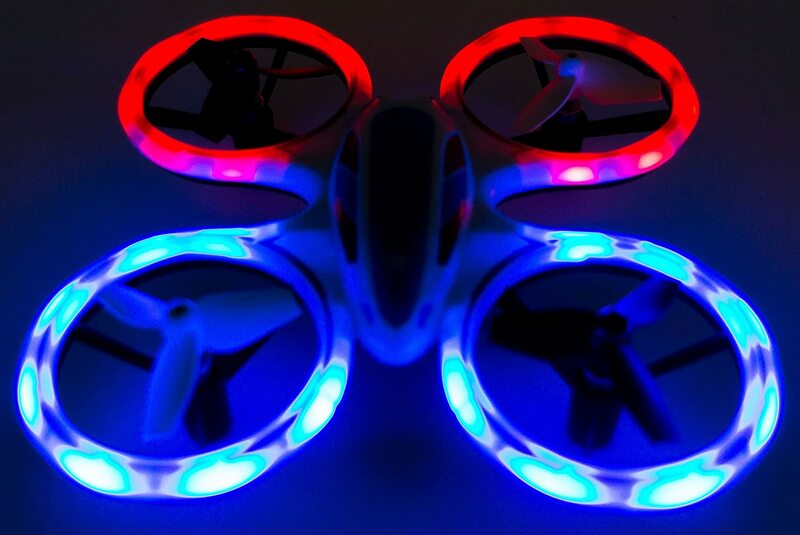 The LED lights allow for night flying and add a bit of entertainment. This drone has some great added functions. 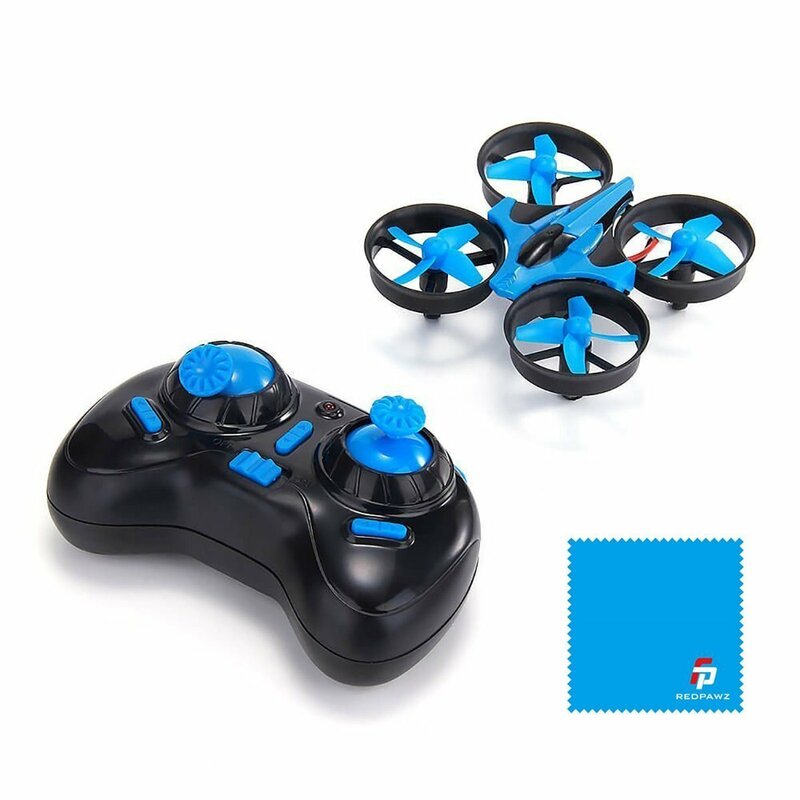 The Altitude Hold Function allows you to release the control stick and the drone will hover by itself at its current height. 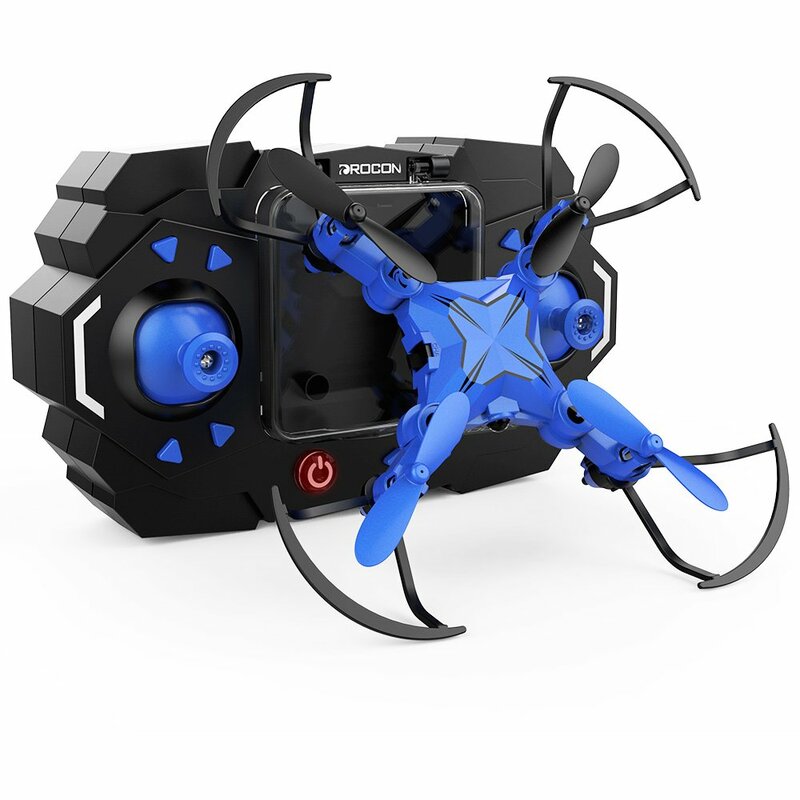 The drone can fold up and fit into the controller, making it an easy to carry and compact quad. It has a one-key take off, with landing as well. A colorful drone for both boys and girls. It has a 360 degree stunt flip function and lights up different colors for lots of fun at night. The LED lights can be left on, left off or can be made to flash. The drone is super light and has a 6-axis gyroscope for stability and better control. Auto-hovering capabilities and an altitude holding feature makes this an easy to maneuver drone, perfect for beginners and kids. It has a 720P HD camera built in which can connect to your phone. The camera takes HD aerial photos of the world below. There is a fun 360 degree rolling feature, and many other tricks to be done. The 6-axis gyro gives for stability and safe flying. Drones can offer hours of entertainment to kids and adults alike. Be sure however to check out any laws in your area that restrict the certain use of drones. Send the kids outside for a while and let them explore their surroundings with some great aerial views of the land around them. Hopefully with all the tech that allows auto-hovering and self-regulating, you won’t spend half your day searching for a lost drone in a tall tree or on your neighbor’s roof!